Based on the hit film of the 1990s, The Full Monty tells the story of a group of unemployed steelworkers who decide to make some money - by performing a strip show. When challenged to make their show a success they offer an additional element – they'll go totally naked, the Full Monty. Both the film and the play are less about the actual strip show and more about the relationships and problems of the group of misfits who become the line-up. Simon Beaufoy's stage adaptation does shift its emphasis slightly from the film though. Where the movie really brought to the fore the fractured relationships of the characters, the play includes their individual stories but doesn't really develop them. Instead, Beaufoy and director Rupert Hill make much greater play of the humour around the strip show. With countless jokes about private parts and a lot of posturing around in pants, at times this feels more like a 'girls' night out' show than a play. Gary Lucy plays lead role Gaz, who needs to find money fast in order to continue to see his son Nathan and so hits on the idea of the show. Lucy is clearly enjoying the role but at times his over-enthusiasm means he's running through his lines too fast so it's impossible to hear what he's actually saying. Andrew Dunn is Gerald, the foreman who is so ashamed at losing his job that for six months he pretends to his wife that he still goes to work. Although initially, he sets himself apart from his former colleagues he soon realises they are all simply after the same thing – some sense of self-worth. And Kai Owen plays Dave, a man so uncomfortable in his overweight body that he won't even take his clothes off in front of his wife and who is now faced with the prospect of being naked on stage. They're given ample support by fellow cast members Louis Emerick, Joe Gill, James Redmond and Liz Carney. Robert Jones' design centres largely on the interior of the redundant steel plant although the scenery easily shifts to become the job centre, the local Conservative Club or the bar where the entertainment takes place. Music from the period including The Cure, Donna Summer, Hot Chocolate and Dexy's Midnight Runners also helps to set the story in its time frame. 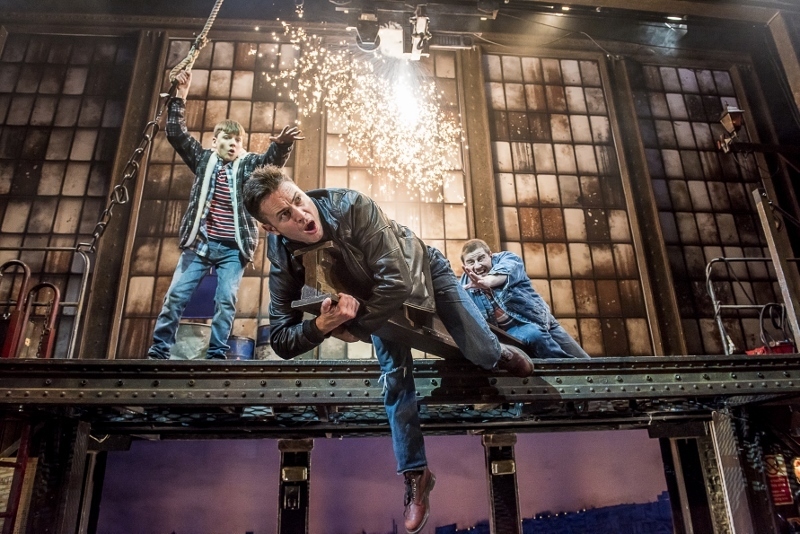 One of the strengths of the film is the context of the closure of the steel plant and the hopelessness of the future for its former workers but this is left largely udeveloped in the stage version. 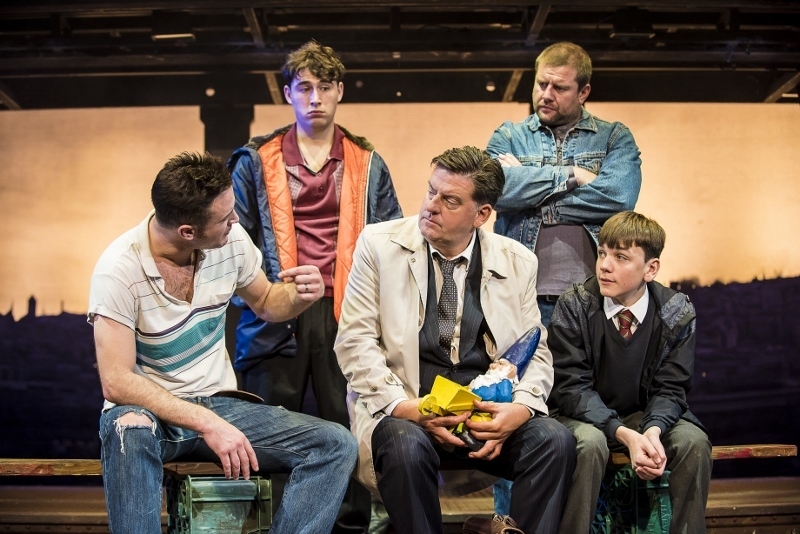 While this Full Monty is fun and entertaining, it works very much on one level rather than really taking us into the lives and experiences of its lead characters. It's frothy and inspires a lot of laughs but at its heart, it never quite captures or explores the full reason behind why their show matters so much to the men. At Birmingham Hippodrome until 10 November.